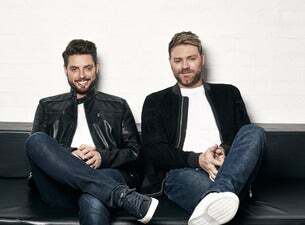 Boyzlife are a supergroup comprising of Keith Duffy and Brian McFadden, who previously appeared as members of '90s and '00s boybands Boyzone and Westlife, respectively. Boyzone had 21 singles in the top 40 UK charts during the 1990s, including 6 UK No.1 singles. They were one of the most successful bands of the decade, and can boast 25 million records sold worldwide by 2013. Westlife were an Irish boyband, formed in Dublin in July 1998 and disbanded in June 2012. The group's final line-up consisted of Nicky Byrne, Kian Egan, Mark Feehily and Shane Filan. McFadden was a member from until his departure in March 2004.